Trees are an amazing resource. Like other things that are wonderful gifts, we too often take them for granted. It’s understandable, I suppose, because they’re just there. They live and grow quietly, keeping to themselves and putting on age and dignity while we’re busy living our own lives. I had to clear an area for a new garden recently and there was a white ash along the north edge of the piece. It was borderline as far as interfering with the garden was concerned but I took the tree anyway, mostly for selfish reasons. It wasn’t especially sizable, only about 9 inches in diameter at breast height. But as it turns out the darned thing was around 120 years old. That means it began its life only about 28 years after Henry David Thoreau had died, just to give some perspective. I reflected on that little ash tree a bit after cutting it, much to the concern of my partner in crime. A small section of the stump became something of a fixture on the kitchen table. There was the small lamp I’d pulled up next to it, and a sewing needle stuck into the bark. The needle is one I’d gotten out of the medicine cabinet and the same one we use to extract splinters from our hands, often splinters from trees older than this ash. In this case, the needle was for pointing to and keeping track of the rings as I counted. The selfish reason for taking that ash tree was for heat. Ash has the unfortunate (for the tree’s sake) distinction of being quick to season. So when the fuelwood supply for winter starts looking lean, the ash trees in the woodlot begin to get special attention. I like to think they can’t feel me eyeing them that way but sometimes I wonder. It would probably be good to get some basics out of the way, so here goes. Dendrology is essentially the study of woody trees, shrubs and vines. And dendrologists divide North American trees into two major groups. Pines, spruces, cedars and the like (generally conifers or cone-bearing trees) do not bear true flowers and they form one group. The rest—often called broadleaved trees—are trees like oaks and hickories that produce true flowers. 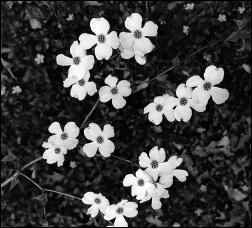 The flowers aren’t necessarily showy and conspicuous, as are those of the dogwood tree for example, but they are nonetheless true flowers. When it comes to technical features in tree identification a fairly painless way to ease into it is by observing a trait that is often pretty straightforward to see. Broadleaved trees can have an alternate branching pattern with alternate leaves, or an opposite branching pattern with opposite leaves. It turns out that only a relative few have the opposite pattern. The vast majority of broadleaved tree species are alternate. So, by the process of elimination, if the tree in question has the opposite pattern this narrows down the field enormously. Trees growing in the open may have branches, leaves and twigs close to the ground, but those growing under the conditions of the forest tend to have relatively few lower branches. This can make observation of leaf and twig details difficult. Although it’s not quite as good as holding a specimen in your hand, binoculars can definitely help. Otherwise we can rely partly on what we might call circumstantial evidence. 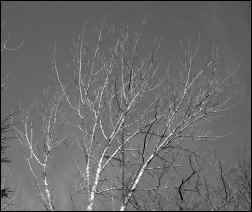 For deciduous trees—trees that drop their leaves in winter—there’s a reasonable degree of certainty that many of the leaves on the ground under a given tree came from that tree. Likewise, the fruits that litter the ground in the fall or winter have a comparatively good chance of being from the individual tree or trees above. Of course this is a bit more reliable with heavy fruits like acorns and other nuts than with wind-dispersed seeds like those in maple and ash. Technical characteristics aside, in some ways tree identification is like recognizing someone you know in a crowd. If you were to try to describe what criteria you use to conclude that the person you see is who you think it is, you might have some difficulty. You just recognize that person without thinking about the process. A similar thing begins to happen, with practice, in tree identification. And the key, of course, is practice. Since it would be impossible to cover the more than 800 species of trees native to North America in an article like this, the objective will be to touch on representatives occurring primarily in the northeastern US and leave others for possible later articles. 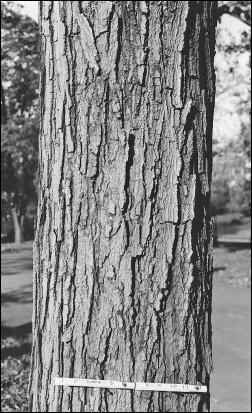 White ash is one of several species of ash native to the northeast. All the ashes have an opposite branching pattern. 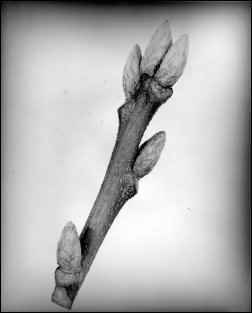 In other words, at each point where a new twig grows from a bud on a small branch in the spring, a nearly identical twig grows from a bud directly, or almost directly, on the opposite side. This crosswise pattern in the treetops can be evident even from the ground, and especially when contrasted with neighboring tops of other trees that have an alternate branching pattern. White ash has fairly stout twigs, a trait that helps make this feature more discernible. Ash trees, as a rule, have compound leaves. 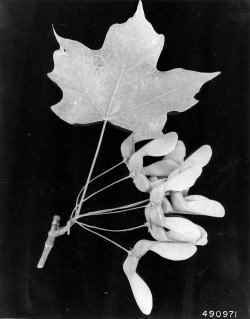 This means that each individual leaf is divided into leaflets as shown in figure 3. 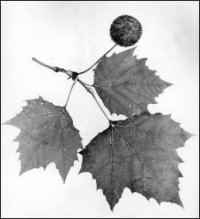 Maples form the other major group of trees with opposite twigs and leaves. Perhaps the most familiar of the maples-because of its famous confectioneries is the sugar maple. Like white ash, sugar maple has opposite leaves and branching though the leaves of most maples are simple rather than compound. In contrast to the robust twigs of the white ash, sugar maple has relatively thin and delicate twigs. As with other trees, the sugar maple’s bark is variable but often distinctive. Using a feature like a tree’s bark for identification, though, once again evokes the analogy of recognizing a person in a crowd. A photograph or two and a description, no matter how apt, are no substitute for experience in the field and simply gaining familiarity. Fig. 7 Ohio Buckeye twig with leaf and fruit. leaves, the horse chestnuts have compound leaves. 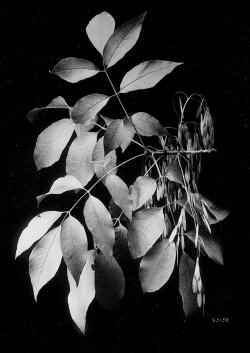 Recall that the ash also has compound leaves. The horse chestnut leaves, though, are clearly distinguishable from those of ash because they’re what’s called palmately compound. In other words, the horse chestnut’s leaf is divided into leaflets in the way that your hand is divided into fingers. Hold out the palm of your hand and spread your fingers and you have a reasonable approximation of the palmate leaf of the horse chestnut. The horse chestnuts, or buckeyes, form the only other major tree group with opposite leaves and branching patterns. 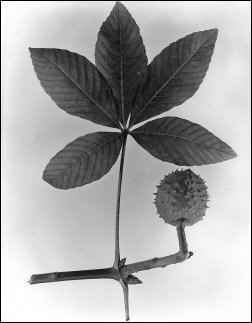 Probably the most familiar species is the Ohio buckeye. Whereas most maples have simple leaves, the horse chestnuts have compound leaves. Recall that the ash also has compound leaves. The horse chestnut leaves, though, are clearly distinguishable from those of ash because they’re what’s called palmately compound. In other words, the horse chestnut’s leaf is divided into leaflets in the way that your hand is divided into fingers. Hold out the palm of your hand and spread your fingers and you have a reasonable approximation of the palmate leaf of the horse chestnut. 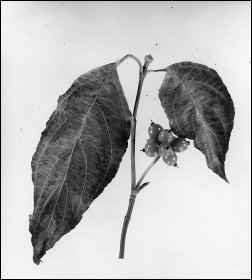 When not in flower the flowering dogwood is, in some ways, more identifiable with the leaves off than with them on. This is due to the unique urn-shaped flower buds. Of course the blossoms will give this tree away almost every time. What may come as a bit of a surprise is that the showy parts of the flowers are not petals but so-called bracts. The bract is a regular structure in flowering plants but is often, or usually, inconspicuous. Not so in the flowering dogwood. Keep in mind that even with trees that have opposite leaves and branching patterns, by the time branches have grown to be larger in size often their opposite counterpart has died off. So even though a tree may inherently have the opposite branching characteristic, its older branches won’t necessarily reflect that. Even on small twigs where the opposite branching pattern is more obvious, one side of the pair or the other can, and often does, break off from wind or from animal activity and the like. Of the more than 800 species of trees native to North America, the vast majority are alternate in leaf and branching pattern. The oaks, as a group, are as reasonable a place as any to start in describing these. 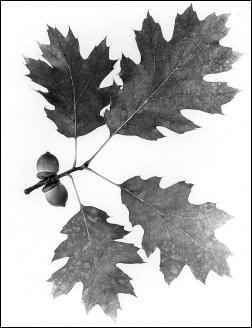 Botanists and dendrologists consider oaks in two major groups: the white oaks and the red or black oaks. The major distinction between the two is most obvious in the leaves. Many kinds of tree leaves, including many oaks, have deeply wavy edges. The inset or coved-in part is called the sinus, and the projecting part is called the lobe. 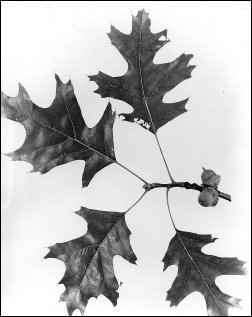 White oak leaves have rounded lobes and red or black oaks have predominantly pointed, or so-called bristle-tipped, lobes. White oak and red oak acorns have different characteristics, too. Some differences are visible and some are more physiological. One feature that’s visually distinguishable is that the white oak acorns’ cups tend to be warty, whereas those of the red oak group tend to be scalier. 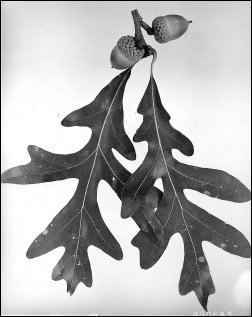 The main physiological difference is that white oak acorns mature in one season and are ready to sprout when they fall. Although this physiological difference is not as obvious as the leaf differences, there are instances of white oaks having a heavy fall seed crop and an abundance of new seedlings, with acorns still attached, sprouting under a parent tree. The American beech is a smooth-barked tree with simple, elliptical leaves. The side veins coming off of the leaf’s central vein extend out to the leaf margin and end in a tooth or small bristle tip. Note that the American Beach tree is afflicted with a condition called beech bark disease. The disease is caused by a fungus and results in disfigurement of the bark to the point of, in severe cases, rough bark that may look more like that of an oak than a beech. 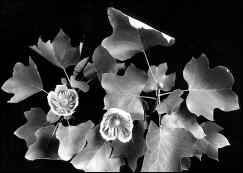 The yellow poplar, sometimes called tulip poplar or tulip tree because of its flowers, is not a true poplar. True poplars are in the willow family and the tulip poplar is in the magnolia family. The yellow poplar has distinctively shaped simple leaves—suggesting maple leaves that have been clipped off with a pair of scissors—and conspicuous tulip-like flowers. 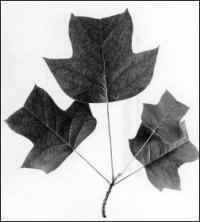 Although not directly related to maples, the sycamore has fairly large maple like-leaves. 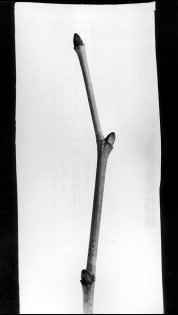 The buds are cone shaped and tend to jut out from the twig. The sycamore’s bark—blotched with brown and white—is probably its most distinguishing feature and is recognizable from a distance, even from a vehicle while traveling. Dendrologists consider the sycamore a bottomland tree since its typical habitat is along the floodplain of streams and rivers. 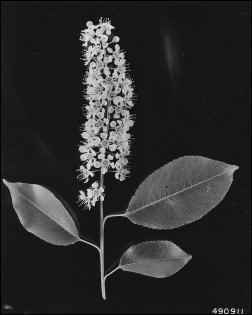 Black cherry has simple, finely-toothed leaves. They are oblong or oval with pointed tips. Flowers, and later the fruits, are borne in oblong clusters. American Basswood is another tree with simple, toothed leaves. Unlike the black cherry, basswood leaves are more rounded and tend to be lopsided at the base. The flowers, then fruits, develop on a stem that extends from the base of a long and narrow, leaf-like bract. 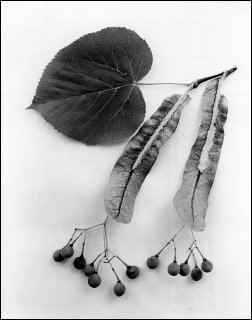 The black tupelo (also called sour gum, black gum or pepperidge) is a tree having simple, more or less oval leaves with smooth edges. The winter buds are conical, a bit stubby but pointed and they jut out from the twig in a sort of zigzag pattern. Black Tupelo often occurs, and probably grows best, in very moist or wetland soils. The eastern cottonwood is a true poplar and is another stream bank or wet area tree. The leaves are somewhat delta shaped or triangular with the bottom edge being fairly straight across. 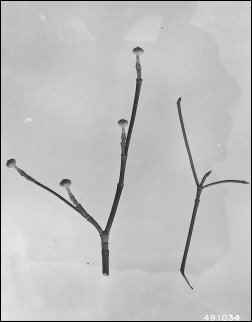 Winter buds are elongated and pointed, often diverging or jutting out from the twig and may be slightly sticky. USDA-NRCS Plants Database / Britton, N.L. and A. Brown. 1913. An illustrated flora of the northern United States, Canada and the British Possessions. Vol. 1: 590. As with white ash, black walnut has compound leaves. But in the black walnut there are many more leaflets per leaf than in ash. One feature that distinguishes black walnut from most other trees is a characteristic in the center of its twigs. The center of the twig, the so-called pith, is chambered in black walnut trees, meaning that it is essentially hollow with periodic diaphragm-like divisions. Hickory trees, members of the walnut family, have compound leaves that are divided into generally five to nine leaflets. The hickory nut, in contrast to the walnut, has an outer husk that splits open when mature. The twig’s pith is not chambered in hickory as it is in the walnut. The paper birch or white birch features, of course, the familiar white bark. It also has simple leaves reminiscent of those of the Cottonwood, although paper birch leaves are not as straight edged along the bottom. The flowers and fruits of birches are produced in caterpillar-like structures called catkins. Pines are grouped or classified in two basic ways. One of these is by the number of needles bundled together at their bases. Eastern white pine is a five-needled pine because it has five needles per bundle. Even though pines overall are considered softwoods compared to hardwoods like oak and hickory, pine trees are themselves also grouped as hard or soft. Eastern white pine belongs to the soft pine group. Fig. 31 Eastern white pine twigs, needles and cone. Field office illustrated guide to plant species. Pitch pine is a three-needled pine. It is categorized as a hard pine, as are most other pines with fewer than five needles per bundle. The cones are somewhat egg shaped when closed and more or less oval when open. Even though pines are evergreens, they do shed and replace their needles, though not all at once. The ground beneath pine trees is usually well supplied with circumstantial evidence to help in identification. A tall pine whose lowest branches are too high to allow an observer to easily see details of its needles and cones often has an abundance of shed needles and cones beneath it. So look for this circumstantial evidence to help with identification. There’s a group of deciduous conifers—needle-leaved trees bearing cones that drop their needles in the winter—called larches. The tamarack is a specific kind of larch native to the northeastern US and its range extends northwestward across Canada and includes parts of Alaska. Tamaracks have many relatively short and soft needles bunched together at the base; the needles generally turn yellow in the fall before dropping. Tamarack cones are small and roughly oval, usually less than an inch long. The tamarack typically occurs in wetlands, especially boggy areas. Spruce trees, as conifers go, are different from both pines and larches in that their needles are not borne in groups or clusters but are attached singly to the twig. 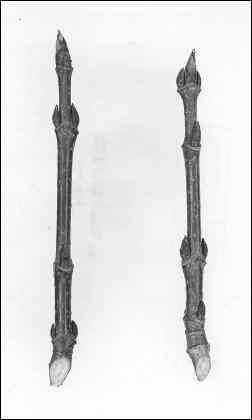 The needles are comparatively short and fairly dense along the twigs. There are three species of spruce trees native to the northeastern US with ranges extending into Canada. They are the white spruce, red spruce and black spruce. The red spruce has some characteristics that are generally intermediate between the red and black. All three of these spruces have cones that are relatively small. The white spruce cones are the largest at about an inch, the red spruce are somewhat smaller and the black spruce cones are smaller than those of red spruce. The hemlocks form another group of conifers or softwoods having needles that are attached singly to the twigs rather than in groups or clusters. Eastern hemlock, at maturity, is a very large tree but has short needles, usually measuring less than an inch, and small cones. The balsam fir is a true fir. It has soft needles, longer than those of hemlock, attached singly to the twig as in spruce and hemlock. The cones are medium-sized, somewhat barrel-shaped and grow upright from the branch. Unlike other conifers in which the mature cone falls from the tree intact, balsam fir cones disintegrate in place. Cone scales with their accompanying seeds fall off, leaving the bare central-spiked axis of the cone on the tree. Trees in North America going by the name “cedar“ are not true cedars; botanists tell us that there are no true cedar trees native to the Western Hemisphere. But the common name “cedar” is so deeply ingrained in our usage that for all intents and purposes we’ll consider the trees that we call “cedar” to be cedars. The eastern red cedar is one of these. This tree is technically a juniper and it has small pointed, scale-like needles or leaves. On the newer or faster growing parts of the tree the leaves tend to be angled somewhat away from the twig and are prickly. 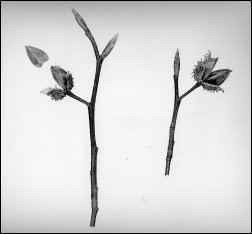 On the older or slower growing parts the leaves are appressed more tightly to the twig. The Eastern red cedar is a conifer even though outwardly the cones look for all the world like pale, blue berries.